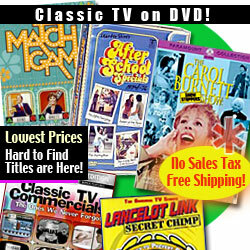 The “Rockin’ the House” collection, which was released on September 22, of the Disney Channel teencom “Jonas” provided a chance to compare this show about the teen rock stars the Jonas Brothers to the similar 1960s show “The Monkees.” The shows had a surprisingly high number of common elements but had the big differences of having the Jonas boys perform all of their own music and not being whiny in real life. Additionally, I doubt that the prefab four wore promise rings. Both shows had scads o’ surreal elements, such as cartoonish sound effects and comically rubbery pizza cheese. They also had their stars rushing about frantically and wearing odd disguises and costumes. “The Monkees” and “Jonas” further had the band around which the show revolved perform songs that related to plot of the episode. My favorite Jonas performance had the Jo Bros dodging enormous toppings on a gigantic pizza while singing about their love for the pizza girl who was the object of their affection in that episode. Being the Disney Channel, this teen temptress only delivered pizzas. The plots of both shows were also very similar. The younger Jonai fell in love as regularly as much more diminutive Davy Jones of “The Monkees” with the same heartache at the end. Coincidentally, it seems that the 60-something Jones is attracted currently to girls of the same generation as les frères Jonas. I believe as well that, like the Jonas boys, The Monkees had an episode in which that band judged a beauty contest. 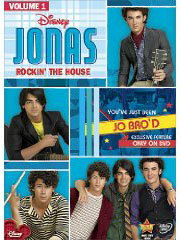 This Jonas episode premieres on this DVD. A second premiere episode has Kevin Jonas experience cultural shock dating a Norwegian exchange student. On a more general level, the Jonas family resides in a way cool converted firehouse that is reminiscent of the groovy beach house that the Monkees shared. I just hope that the Jo Bros do not become bitter nasty old men. I would love to hear from other folks with thoughts regarding the promise ring trio or the prefab four; my e-mail address is tvdvdguy@gmail.com.